Yep. 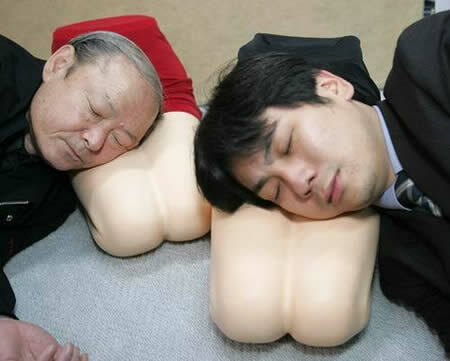 A pillow imitating a woman’s legs made from urethane foam. Really a Coooool………….. 🙂 idea. I think you all have visited my previous post Pillows for sweet dream was a unique and for you all music lover Sound Asleep Pillow. I don’t know why these japanese are so crazy to create such products?…….. Do you have any idea ? Please share. Entry filed under: foto, japan. छोटो बाटो जाने हो ? सुन्ने, हेर्ने हो कि ? छिमेकिको दैलोमा चिहाउने कि ? The road to Nowhere goes everywhere…. Multiple Account Login @ Yahoo Messenger . R-CD लाई कसरी धेरै पटक प्रयोग गर्ने ? Test Html Codes, Before Using Them On Your Blog.